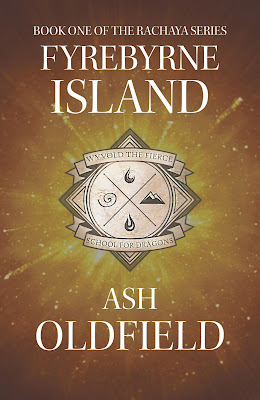 Dean from Australia: Dragons Rising - A Look At Fyrebyrne Island by Ashleigh Oldfield. 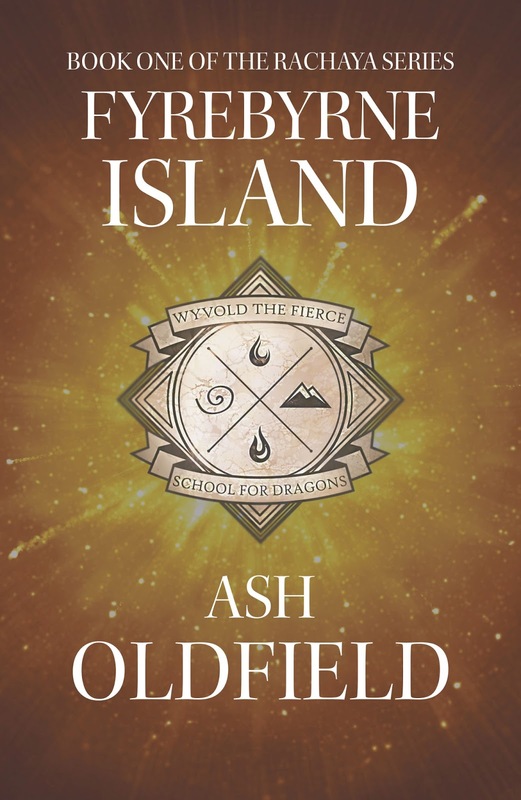 Dragons Rising - A Look At Fyrebyrne Island by Ashleigh Oldfield. Among the small community of independently published authors I've come to know here in Australia in recent years, Melbourne based fantasy scribe Ashleigh Oldfield has stood out to me as an individual of immense talent. Bursting with imagination, enthusiasm and commitment, Ashleigh has worked studiously over the past few years to hone her craft, producing literature across a number of genres that showcase her abilities. I'm proud to say that I have sought out Ashleigh's keen eye on my own books, contributing important ideas to both Gifts of the Peramangk and The Recipient. Now, Ashleigh has achieved that most special of milestones with the arrival of her first major release, Fyrebyrne Island. With a thunderous roar it fell from the sky, all gleaming yellow scales, talons the size of broad swords with fanged teeth to match, wings held out from its sides like sails, magnificent and glorious. The time has come for thirteen-year-old Rachaya to embrace her dragon heritage. Not everyone is pleased by her arrival on the dragon sanctuary, Fyrebyrne Island, however, and her mother's enemies may well have become her own. Will Rachaya live long enough to take on the mantle of Queen of the Dragons or will her enemies prevail? I had the opportunity to beta read an early draft of Fyrebyrne Island and, even its early stages, it was clear that Ashleigh Oldfield had crafted an exciting opening salvo in a projected three book cycle, bristling with a kind of old world literally magic that is essential to the fantasy genre. Central to this coming of age story is 13 year old Rachaya a human girl with trans-formative abilities that conceal a dragon persona - a key trait of most of the cast in Oldfield's meticulously constructed world. Rachaya is plucky, wide eyed and eager to harness the legacy of her kind on the sanctuary island of Fyrebyrne Island but her journey will be tumultuous as she finds herself at the center of an epic struggle that will threaten her future and test her resolve to the extreme. Featuring vivid characters, sprawling, medieval inspired landscapes and a cinematic narrative that crackles, Fyrebyrne Island: Book 1 promises a thrilling adventure that will keep readers, young and old, on the edge of their seats from the first page to the last. 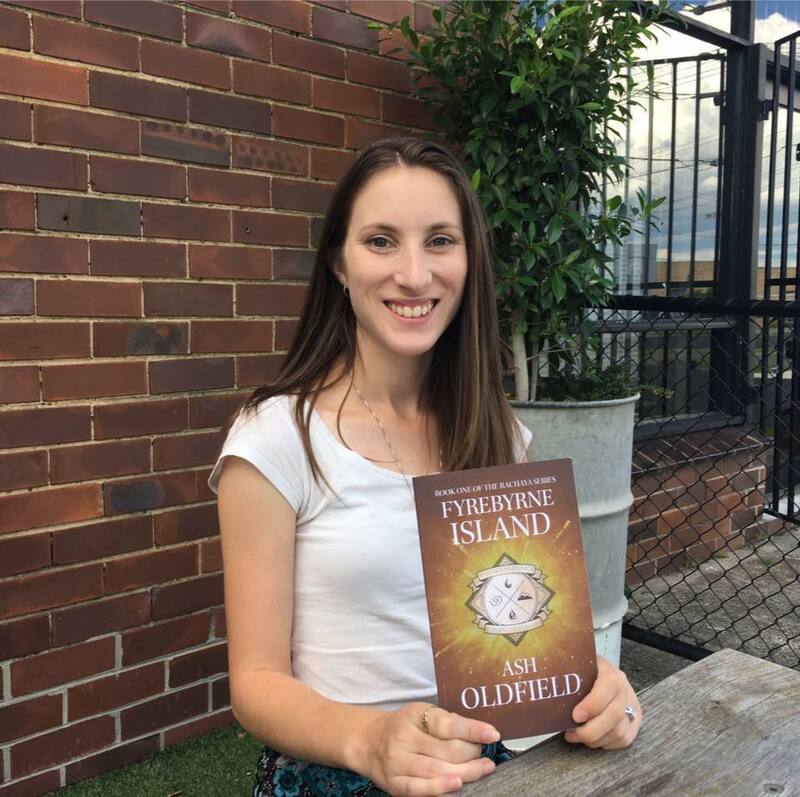 Ashleigh Oldfield is a fantasy fiction and children’s writer from Melbourne, Australia. Always having a love for the written word, Ash wrote her first stories by moonlight at the tender age of five, long after her parents thought she had gone to bed. To this very day Ash still prefers to write by the light of the moon long after any sensible person has succumbed to sleep. Fyrebyrne Island is out now. Purchase Fyrebyrne Island from The Book Depository. Purchase Fyrebyrne Island from Amazon. Connect with Ashleigh Oldfield here. Tweet with Ashleigh Oldfield here.